Purchased/ leased houses/ villas/ apartments (hereinafter referred to as “Properties”) with a total transaction value greater than 20 billions VND. Other subjects as specified in each case regulated by the Developer. The Cardholder is the undersigned of the Purchasing/leasing Properties Contract. Given that the Customer is a company/an organization, the Cardholder is the representative that stated in the Purchasing/leasing Properties Contract or other individual authorized by the Cardholder. Diamond Cardholders can register one (01) supplementary card but will not have additional benefits, except from cases with other terms applied. 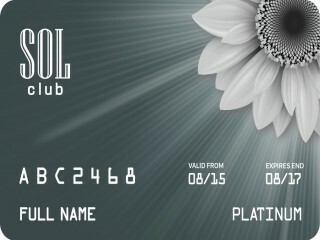 The Cardholder enjoys 30% discount from public room rates in Hotels and Resorts listed above. Discounts are applied on public rates in Hotels and Resorts listed above; (*) the Cardholder is required to reserve five (05) days in advance. (**) Discount are applied from the date of publication, according to the availability of the benefits. Discounts depend on high/low business season and quantity of vacant rooms at reserving time. Discounts are applied for a maximum of four (04) hotel rooms (or one (01) villa) in three (03) nights for one (01) time use per SOL card at the booking. The Cardholders are entitled to 50% discount on fees/person/round (fees include expenses on Golf course, caddy and cart). Only applied to the Cardholder, discounts are applied on public rates. The Cardholder enjoys free cable car tickets, entrance fee and game tickets (if any) at amusement parks listed above. Applied to the Cardholder and 04 persons authorized by Cardholder, not applicable with other promotions/discounts/offers. The Cardholder is authorized persons and children are required to present their ID cards or Birth certificates. The Cardholders will be informed about latest Properties invested by Sun Group. The Cardholders will be invited to special events held by Sun Group. The Cardholders are considered to enjoy discounts when purchasing/leasing sequent Properties from Sun Group. Under the circumstance of other promotions under the Card benefits, only the promotions with greater benefits will be applied. We will not apply the promotions simultaneously. Purchased/ leased houses/ villas/ apartments (hereinafter referred to as “Properties”) with a total transaction value greater than 10 billions and lower than 20 billions VND. The Cardholders enjoy 20% discount from public room rates in Hotels and Resorts listed above. Discounts are applied for a maximum of three (03) hotel rooms (or one (01) villa) in three (03) nights for one (01) time use per SOL card at the booking. The Cardholders are entitled 30% discount on fees/person/round (fees include enxpenses on Golf course, caddy and cart). Purchased/ leased houses/ villas/ apartments (hereinafter referred to as “Properties”) with a total transaction value lower than 10 billions VND. The Cardholders enjoy 10% discount from public room rates in Hotels and Resorts listed above. Discounts are applied for a maximum of two (02) hotel rooms (or one (01) villa) in three (03) nights for one (01) time use per SOL card at the booking. The Cardholders are entitled 20% discount on fees/person/round (fees include enxpenses on Golf course, caddy and cart). 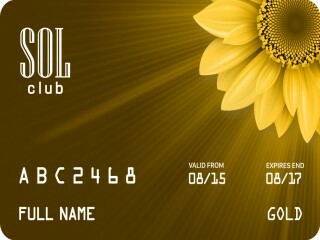 - The cards are subjected to upgrade when Cardholders purchase/lease Properties of Sun Group with a total transaction value that greater than current card level. New card’s terms are applied with new upgraded validation and old card’s terms are terminated within the system. 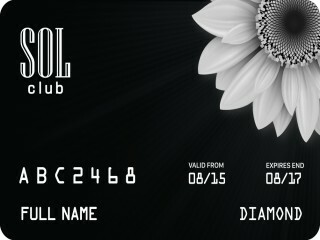 Diamond card downgrades to Platinum card: new validation is calculated as remaining validation of Platinum’s. Diamond/ Platinum card with more than 12 months using downgrades to Gold card: new validation is calculated as new validation of Gold’s. Diamond/ Platinum card with less than 12 months using downgrades to Gold card: new validation is calculated as remaining validation of Diamond’s or Platinum’s. The cards and their benefit are transferred to the new Cardholder when their purchasing/leasing Properties Contract are transferred or terminated. The old ones are deactivated and terminated within the system. The policies of issuing, adjustment, extension and benefit of the cards will be edited annually and updated on Sun Group’s official website. The card is issued and effective only when Customers completed transaction for Purchasing/leasing Properties distributed by Sun Real Estate Limited Liability Company addressed at: 5 Floor – Sun City Building, 13 Hai Ba Trung Street, Hoan Kiem District, Hanoi, Vietnam.